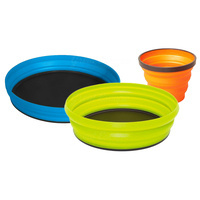 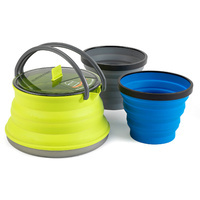 Pots, bowls and cups can be the bulkiest and most awkward items to fit in your pack. 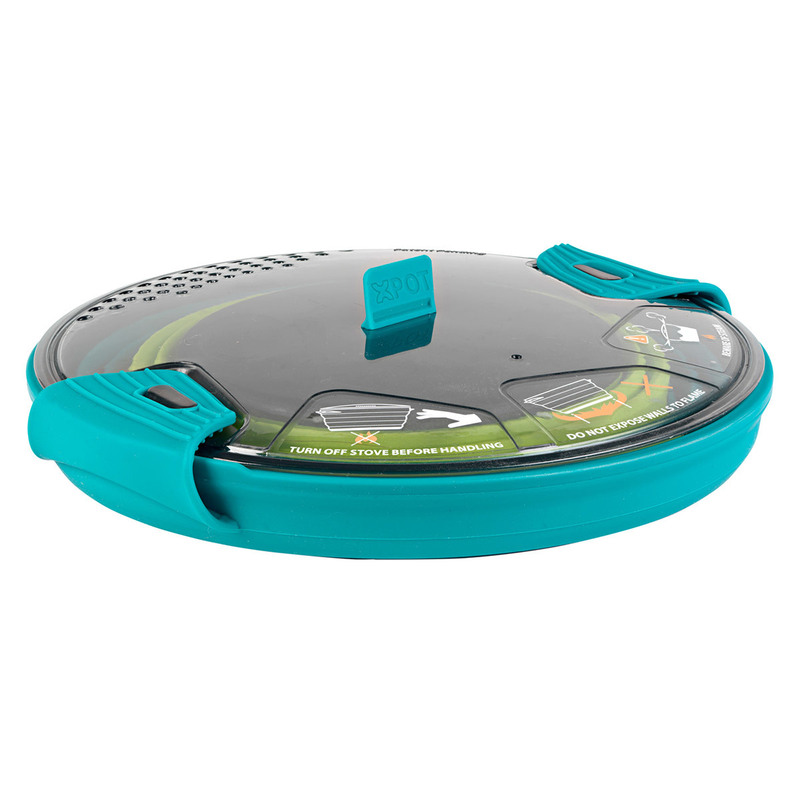 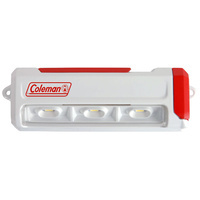 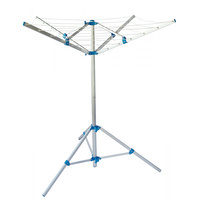 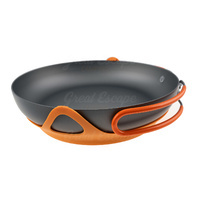 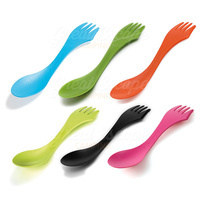 This cookset fixes that with flexible silicone walls that collapse down for compact storage. 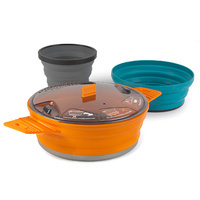 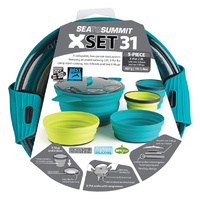 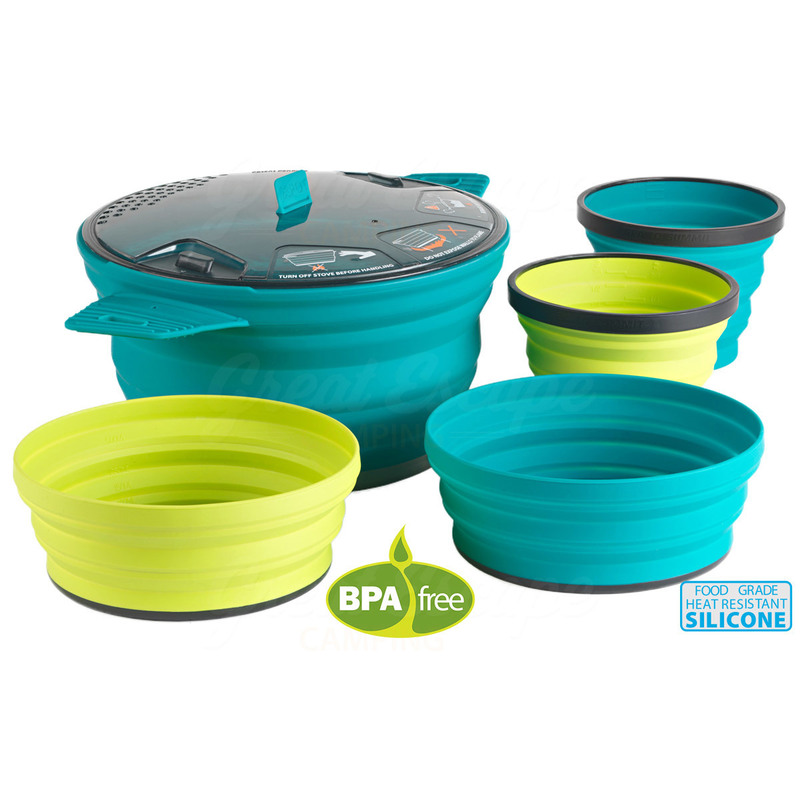 Sea to Summit's X Set 31 includes extremely collapsible X Bowls, X Mugs, and an X Pot so you can make breakfast for you and your backpacking buddy. 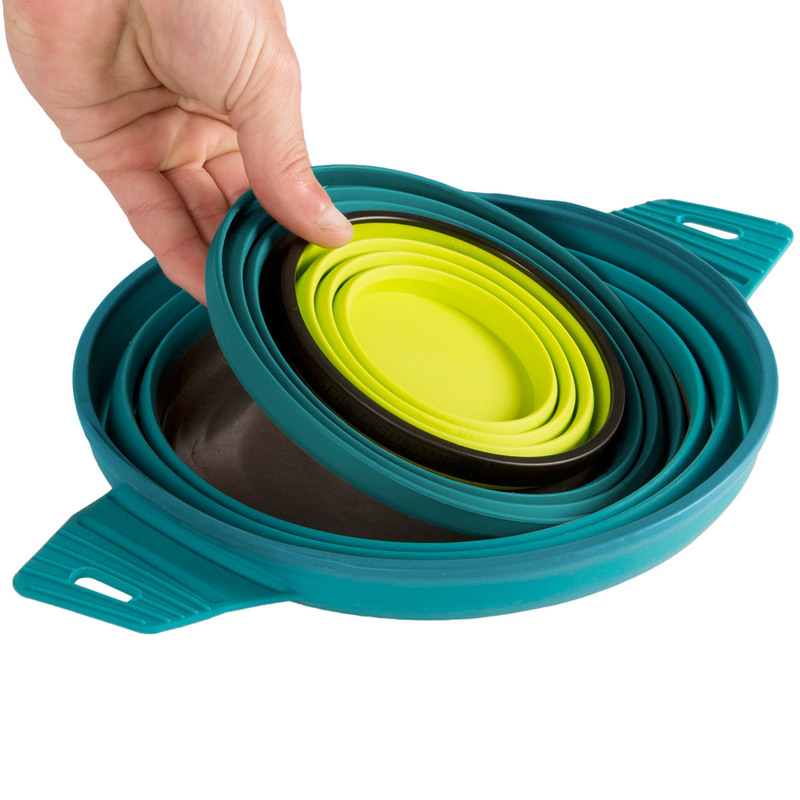 Pliable, lightweight, heat-resistant, and food-grade silicone makes this cooking setup one of the most compact and convenient setups for backpackers. 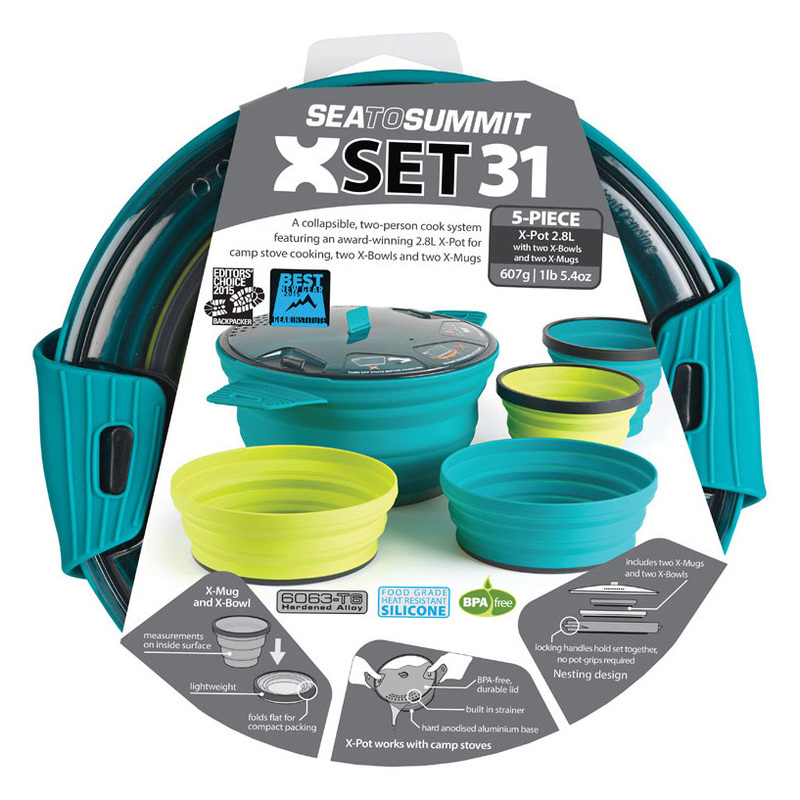 Sea to Summit designed the X Pot with a stove-friendly base made of aluminium, and there's a translucent lid for faster boiling times.